Review: San Francisco Opera’s “Lucia di Lammermoor”─ Soprano Albina Shagimuratova subs as Lucia and is spectacular! The footnotes for Russian soprano Albina Shagimuratova’s fall 2015 season at San Francisco Opera (SFO) might read “The Queen rises,” affirming that the last minute drama that occurs behind the scenes in opera can be as exhilarating as what we see on stage. Before the curtain rose on Wednesday night’s final performance of Donizetti’s Lucia di Lammermoor, SFO’s General Director, David Gockley, unexpectedly appeared on stage to deliver “goods news and bad news.” Soprano Nadine Sierra , who had been getting rave reviews for her Lucia, was suddenly ill. (Sierra herself was a late replacement for German soprano Diana Damrau who withdrew unexpectedly in September citing personal reasons.) The good news was that Russian coloratura soprano, Albina Shagimuratova, knew the role of Lucia by heart and had agreed to sub, just hours ago, for Sierra. Shagimuratova had wowed audiences with her dynamic Queen of the Night in the 2012 world premiere of SFO’s The Magic Flute. She, however, had very recently been ill herself and had been too sick to sing Queen of the Night in last Sunday’s matinee performance of the company’s Magic Flute, which was just two and a half days earlier. Many of us who are devoted Sierra fans were sad that we would miss her but elated that Shagimuratova, the beloved Queen, had risen from her bed to take on one of opera’s most demanding roles. Shagimuratova, who most recently sang Lucia at the Metropolitan Opera in 2014-15, did more than seize the moment─she was on fire. She took us all along with her on Lucia’s tumultuous descent from fragility into madness and executed the famous third act Mad Scene with mesmerizing finesse. 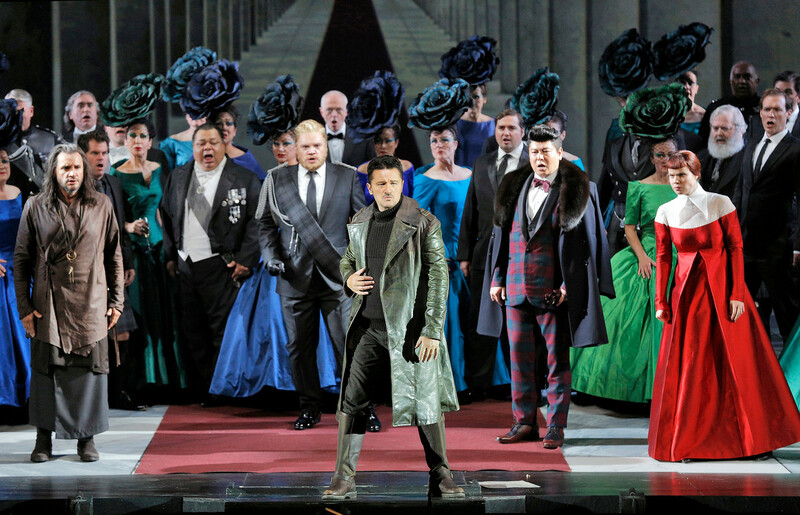 Her co-stars, too, delivered the goods, particularly the dazzling Polish tenor Piotr Beczala as Edgardo, Lucia’s secret lover and baritone Brian Mulligan as Lucia’s brother, Enrico. And after Sunday’s performance, we’ll all be watching out for the gorgeous Latvian mezzo soprano Zanda Švēde, a second year Adler fellow, whose lovely voice and stunning red hair made the most of her small role as Alisa, Lucia’s handmaid. Presiding at the podium, Nicola Luisotti brought a stirring and lush performance from the SFO orchestra and chorus that incisively captured Lucia’s emotional fragility and supported the characters’ most passionate moments. Of the dozen or so Donizetti operas that are considered masterpieces, Lucia is the pinnacle─it contains opera’s most gorgeous and powerful music and abounds with opportunities for vocal embellishment, lush harmonizing and drama. It’s no wonder that this bel-canto (literally “beautiful singing”) masterpiece has been performed in 23 seasons at SFO. 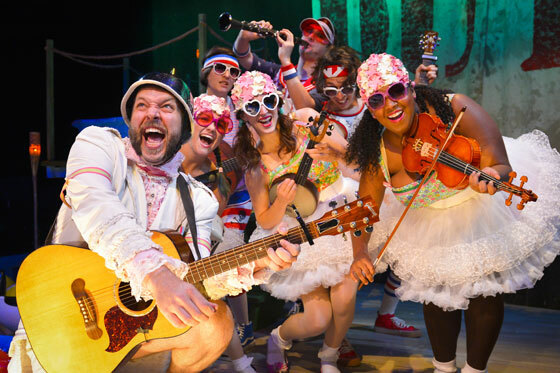 This new SFO production, directed by Michael Cavanagh and designed by Erhard Rom, the team behind SFO’s wonderful Susannah in 2014 and Nixon in China in summer 2012, is sure to become a more frequent staple in SFO’s repertoire. Gaetano Donizetti’s “Lucia di Lammermoor” and “L’elisir d’amore” (“The Elixir of Love”) are among the 25 most frequently performed operas in the world every year. SFO has performed “Lucia” in 23 seasons. 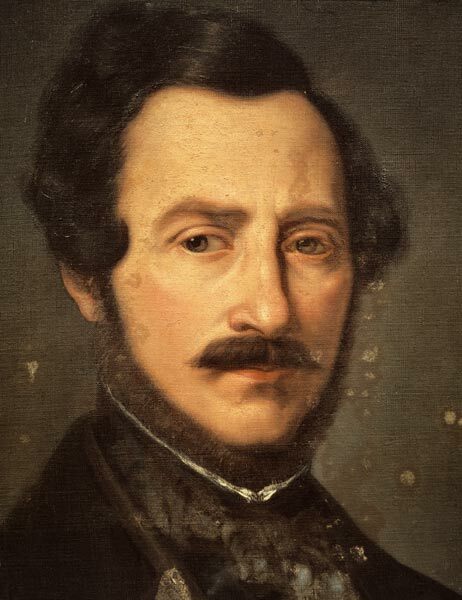 A sad irony is that Donizetti, who crafted Lucia’s and Anna Bolena’s brilliant scenes of psychosis, spent his own final years locked away in a Paris insane asylum. Thirteen years after “Lucia’s” premiere, he died psychotic and paralyzed from untreated syphilis. His French publisher left a memoir suggesting that Donizetti had been driven insane by an imperious soprano, who had forced him to make damaging changes to his last grand opera. Portrait of Gaetano Donizetti, Italian pictural school (17th century) from Bologna’s Civico Museo Bibliografico Musicale. Act 3’s Mad Scene─ The main reason for Lucia’s enduring popularity is the Act 3’s Mad Scene. 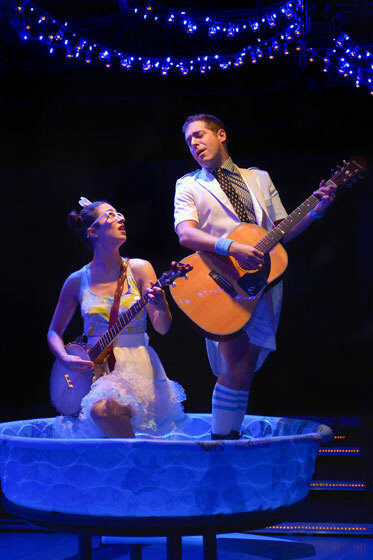 Great Lucias become one with the music to embody a young woman ripped apart by inner demons. Lucia, mourning her mother’s recent death, has been coerced by her brother Enrico, her closest remaining relative, into an arranged marriage and has been crushed by the loss of her true love, Edgardo. On their wedding night, she stabs her new husband to death and wanders delirious amongst the wedding guests in a bloody nightdress with her hair a tangled mess. Shagimuratova’s singing had been so captivating for the first two acts, particularly Act 1’s “Quando rapito in estasi,” which brought me to my feet, we knew we were in for a treat. Indeed, she left nothing in the tank. Her interpretation of “Il dolce suono…Spargi d’amaro pianto” was chilling, embellished with amazing trills and cascades that showcased the power and sheer beauty of her voice in its highest register. The cadeneza passages, played evocatively by Principal Flute Julie McKenzie from the pit, were very well-coordinated, as if it had been practiced several times. It rightfully earned an ovation with prolonged whistles and whoops and left me with the impression that, for this Lucia, her final exit was a form of victory over the men who had controlled her in one way or another. Polish lyric tenor, Piotr Beczala, is Edgardo. In Act 3, Edgardo learns that Lucia has died and he stabs himself with a dagger hoping to be reunited with her in heaven. He sings “Tu che a Dio spiegasti l’ali.” Photo: Cory Weaver, SFO. Polish tenor Piotr Beczala as Edgardo, Lucia’s lover, oozed with such virility and tonal mastery that now I feel compelled to follow his career. His initial physical encounters with Shagimuratova/Lucia, a new partner, seemed somewhat stiff though, particularly the scene in Act 1where he is comforted by Lucia and lays his lead in her lap but their passion grew more believable as the opera progressed. His grappling with what he perceives as Lucia’s betrayal was enthralling and in the richly textured “Chi me frena in tal momento” sextet that ends Act II, when he bursts in insisting that he still loves Lucia, he was blazing. In the finale, the punishing, demanding Wolf-Crag” scene, Beczala gifted us with rapid, jarring shifts in emotion, bel canto at its best. And pitted against him, as Enrico, was powerhouse American baritone Brian Mulligan, fresh from his masterful lead in SFO’s Sweeney Todd. And much like that deranged barber, his Enrico also acted from sheer desperation─he was aware of his sister Lucia’s desires and her fragility but torn by his need to save the Lammermore line as well as to ensure his own future. 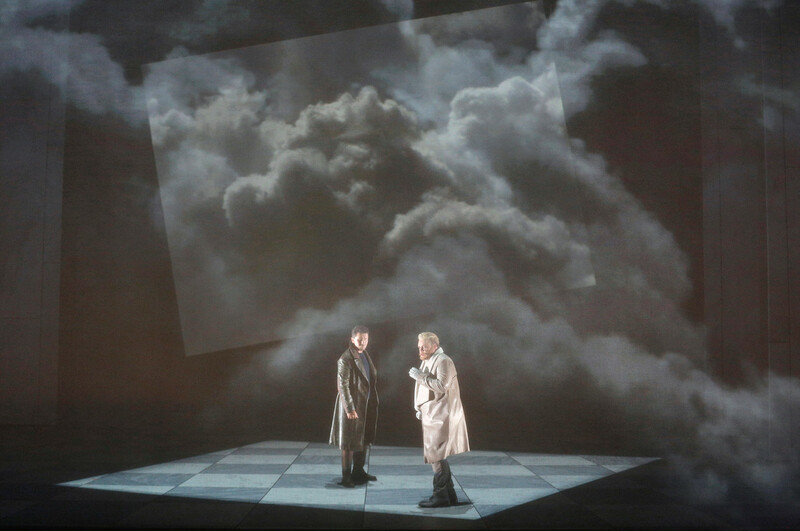 In Act 3’s tour de force showdown between Enrico and Edgardo, both Mulligan and Beczala seemed to be feeding off of each other, singing gloriously and ratcheting up the drama. Turning heads─ It was impossible to miss the sleekly coiffed redhead mezzo Zanda Švēde, Lucia’s handmaid Alisa. The tall slim beauty was a vision in Mattie Ullrich’s Max-Mara like costuming From the moment she sang her Act 1warning to Lucia to break up with Edgardo, her impassioned voice had me. She was particularly impressive in Act 2’s sextet against much more seasoned singers. 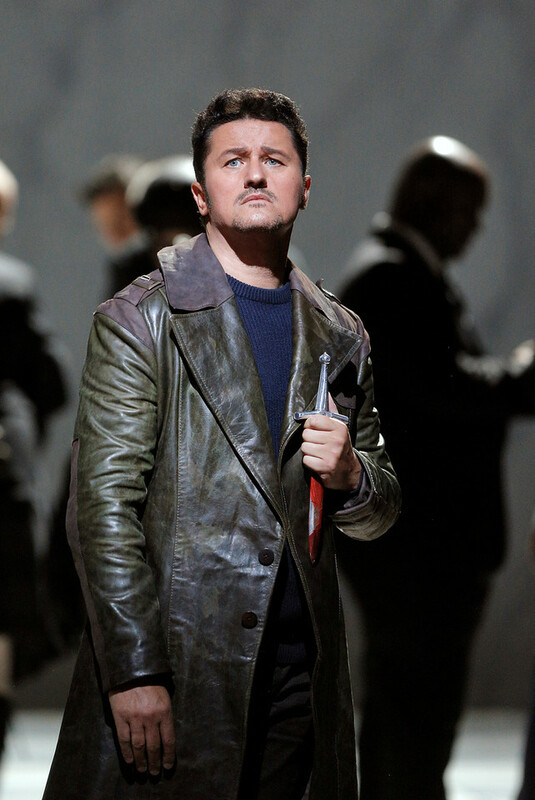 Also making the most of his small role and SFO debut was French bass-baritone Nicolas Testè as Raimundo, the Chaplan. For this new production, rather than the 17th century hills of Scotland, Michael Cavanaugh’s staging sets Sir Walter Scott’s story in “modern-mythic Scotland, a dystopian near future where the lines are blurred between family, country and corporation.” The sets relied on clean-cut marble slabs which opened and closed in various configurations and a huge stone obelisk center stage to impart a stark cool ambiance that was accentuated by dramatic lighting and projections of rolling ocean waves, thunderous skies and hilly Scottish landscapes. Mattie Ullrich’s costumes ranged from sleek unadorned dresses in charcoal hues to the wedding party’s traditional long full-skirted ball-gowns in jewel tones with intriguing flower headdresses. The flowers were so large they enforced the association of women as walking flowers, mere stylized objects. Poor Shagimuratova presumably had to make do with what was available at the last minute─unattractive Victorian-style dresses with lots of gathers around the waist and bodice, the very worse costuming for a slightly round figure. Her sumptuous voice was all the adornment this beauty needed to make her mark. Details: There are no remaining performances of Lucia di Lammermoor. You can catch Albina Shagimuratova as Queen of the Night in The Magic Flute which has 7 remaining performances and runs through November 20, 2015. For information about SFO’s 2015-16 season, click here. War Memorial Opera House is located at 301 Van Ness Avenue, San Francisco.